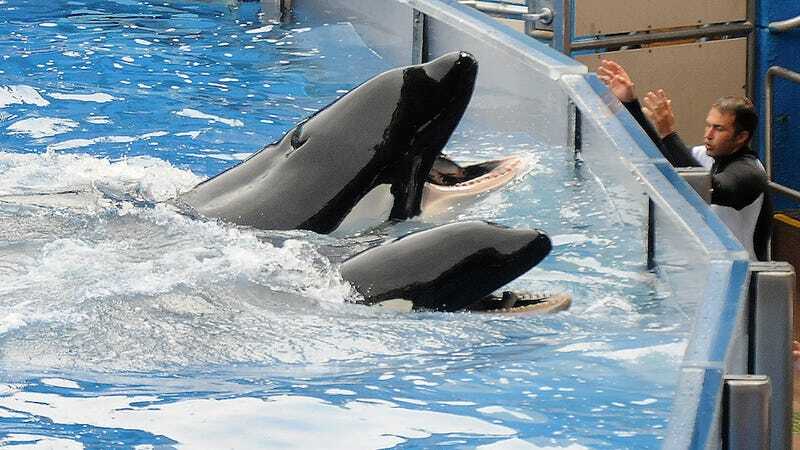 Tilikum, the 12,000-pound orca whose captivity at SeaWorld (and other various sea parks) was scrutinized in the 2013 documentary Blackfish, is suffering from a chronic bacterial infection in his lungs that’s become increasingly harder to treat, according to SeaWorld veterinarians. In 2010, Tilikum—who’s been at SeaWorld for 23 years—killed trainer Dawn Brancheau during a training session by grabbing her by the arm and drowning her. Previously, another one of Tilikum’s trainers was killed in a similar method at Sealand of the Pacific in British Columbia. In 1999, a man who snuck into SeaWorld after hours was found dead in Tilikum’s tank. The deaths—and the many complications that arise when orcas are kept in captivity—are explored in Blackfish. Let’s hope Tilikum lives out his remaining days as peaceful and happy as possible.